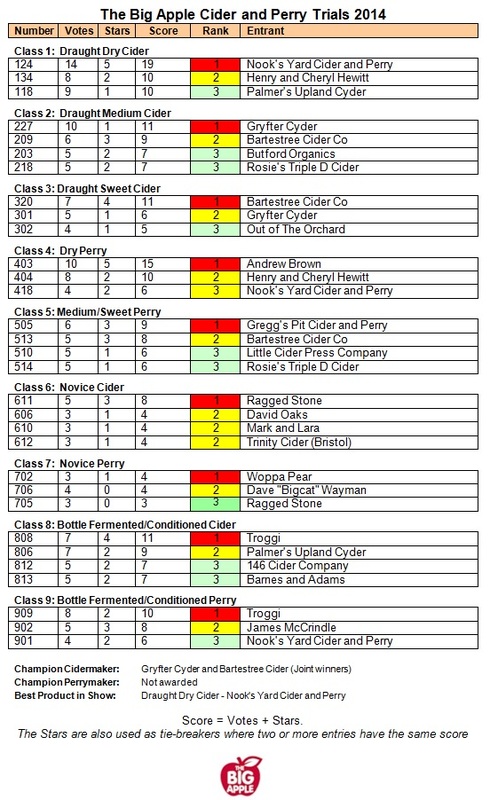 Note: Following scrutiny, an error in the ranking of Class 2 – Draught Medium Cider was noted. This has been corrected above. We issued an updated winners certificate to Bartestree Cider Co and one for Butford Organics. In the spirit of the competition, the original winners certificates for the other entrants will still stand. Bartestree Cider has also been given the Joint Champion Cidermaker award along with Gryfter Cider.